Posted on Wednesday, June 27th, 2018 at 7:11 am. Many of you know that my human started off as a rock journalist in the 1980s and 1990s. Most of you don’t know she began as a rock photographer, even before she was a writer. She had photos published in national magazines and local weeklies alike, and most of the pictures were from live shows. Little did she know that many years later, that experience would help her photograph cats! And I’m sharing some tips that can help you photograph your own cats (or dogs… or rock stars, for that matter). Here is one of the many tips Summer shares about photographing your own pets (and how it’s similar to photographing rock stars!). Ambient light is way better than using flash. Usually. Back when my human was photographing rock bands, there were two schools of photography. One used flash; the photos did get published by one rock magazine in particular, but they were not very attractive and did nothing to evoke a mood. The other school, which my human belonged to, exposed for the stage lighting only, and the resulting photos were exciting, and the mood of the show really came across. It’s the same for your pets: ambient light is the most flattering. Try to catch your four-legged family member near a window with filtered light coming in, and expose so that you get details in the face. Or out of doors, out of direct sunlight. Always make sure the part of the subject you’re focusing on has the best light. Avoid flash whenever possible. What’s the exception for the no-flash rule? My human used it in rock photography sometimes, and she also sometimes uses it with us: use the flash to fill in shadows when the contrast is too strong. In that case, you use both the ambient light and the flash. Take the flash off auto and just turn it on so it always goes off. Play around with it for a few photos when you have bright, contrasty light. Sometimes when the light is low, and your cat or dog is too busy, you’ll also have to use flash. Experiment—unlike the old days of the 1980s, you don’t have to buy film in rolls and risk wasting your money! So, when isn’t photographing pets like photographing rock stars? Here is one of reasons why photographing pets is different than taking pictures of rock stars. You can use the outtakes! If a professional photographer takes a bad photo of a rock star, you can bet the rock star doesn’t want it published! In fact, they may even ban you from shooting them again if they are really upset. But with your pets, sometimes the photos that are the most fun are the mistakes, the outtakes of your pet making a silly face, or when something goes wrong. And best of all, your pet doesn’t care and won’t ban you from shooting them again. I regularly have outtake posts on my blog, and they are some of my most popular posts. 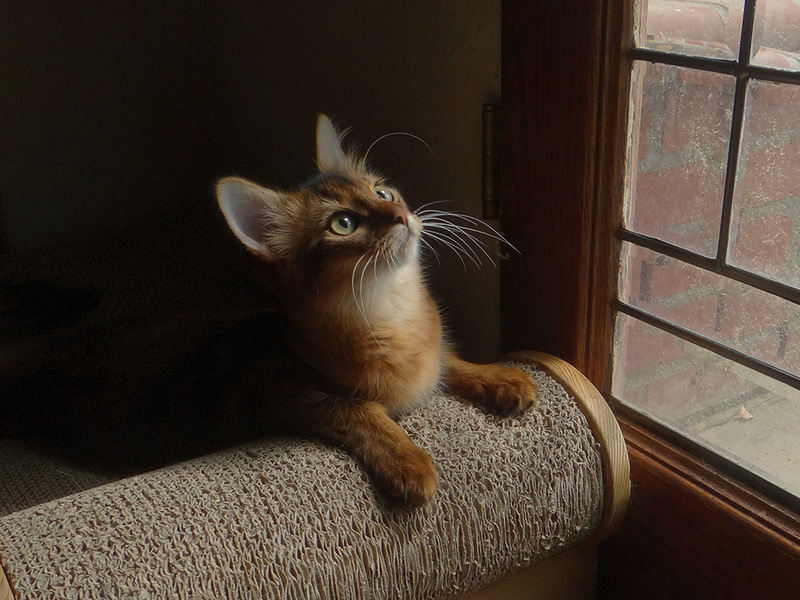 Summer is regional award-winning Somali cat. 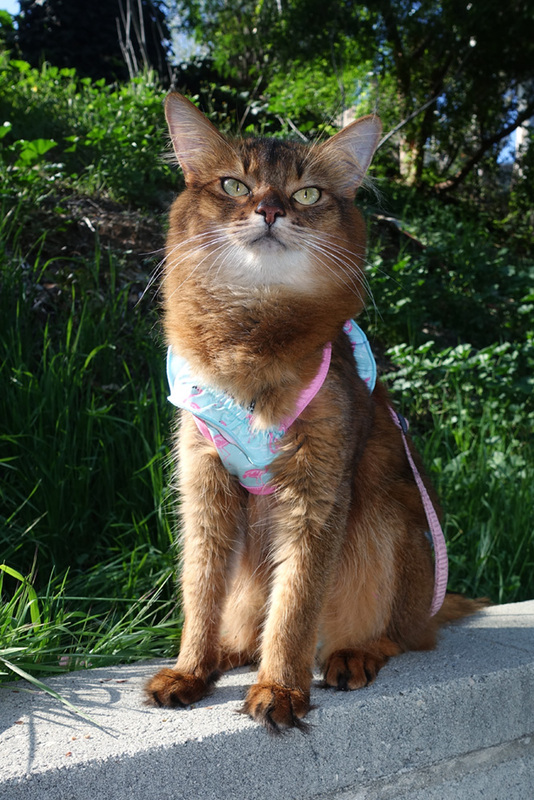 Now retired from show competition, she works as a therapy cat, model, and social media influencer. She travels frequently to make public appearances at Cat Shows as a Pet Me Cat. 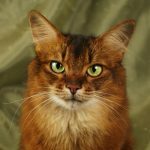 Her blog, sparklecat.com was founded by her predecessor, Sparkle the Designer Cat (2002-2014), in January 2003, making it one of the internet’s oldest cat blogs.